La Pavoni Europiccola. Vintage preferred. I have had a Rancilio Silvia for about 20 years. I've had minor repairs done on it and replaced the steam wand, but it is a great,very durable machine that makes great espressos and cappuccinos. They taste wonderful after a great shave with Proraso soap and an Omega brush--the complete Italian experience. If steam in not required a VAM or Caravel by Arrarex is extremely easy to use, clean and maintain. These are simple yet brilliant engineered machines giving excellent results in the cup. I keep telling everyone to try the bialetti brikka. It makes great espresso if you use italian style beans (medium roast), is small, inexpensive, and really easy to use. Bialetti Brikka is a moka pot, not an espresso maker - even if I love the coffee my moka pot makes. Cold dead hands would be involved before I give it up. As far as I can tell the major differences are in the pressure used to force the water through the grounds. Real espresso should be brewed at at least 9 bar (130.53 psi / 900 kPa / 265.80 inHg), while the moka pot brews at a paltry 1.5 bar (21.76 psi / 150 Kpa / 44.30 inHg). 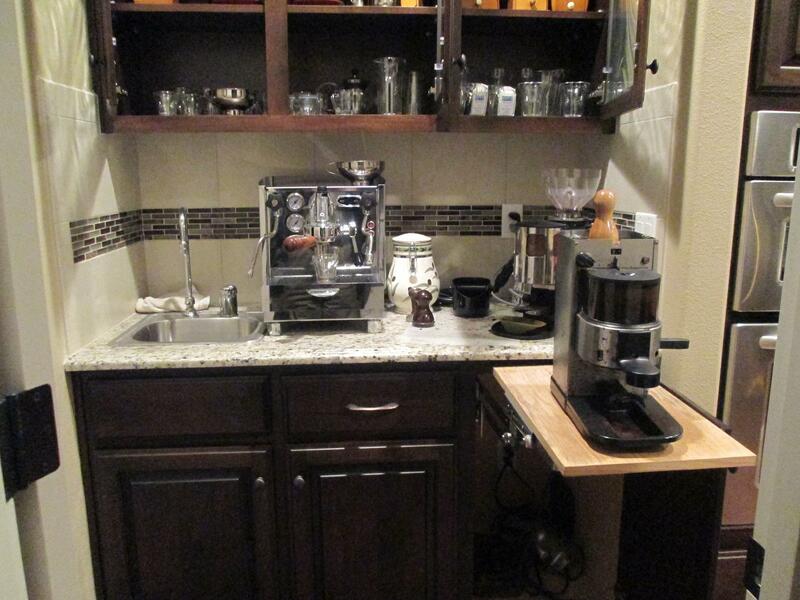 Household espresso machines usually work around 20 bar (290.08 psi / 2000 kPa / 590.67 inHg). If you get your moka pot up to 20 bar, you'll have shrapnel flying around the kitchen. Moka pots are awesome. So are proper espresso machines. Wish I had room in my kitchen for both. Hans do you mean something like this. (10-02-2017, 10:39 AM)WegianWarrior Wrote: Bialetti Brikka is a moka pot, not an espresso maker - even if I love the coffee my moka pot makes. Cold dead hands would be involved before I give it up. Thanks for the follow explanation, Hans. I have a 16 oz Bialetti moka pot and it makes an excellent cup of coffee. The coffe I like best is...hold it...Starbucks Komodo Dragon. I grind the beans to almost espresso fineness and heat the pot over medium heat for my first cup of the day; there can be 1 or 2 cups later in the day. I like really like espresso too, but I have yet to find an affordable machine that makes a decent cup. For now I'm using my wife's Nespresso machine, which makes a tolerable espresso for after dinner. A good starter machine is the Silvia. She is an unforgiving taskmaster and allows for little operator error. However, if one can master Miss Silvia one is well on his way to mastering the art of espresso making. (10-02-2017, 11:07 AM)Barrylu Wrote: Hans do you mean something like this. This is the machine in operation. What did you end up going with? My good friend Paul Pratt has released his Cafelat Robot to incredible reviews! A very simple and straightforward lever espresso machine that delivers a beautiful espresso with the classic lever profile. A soft, round cup with clarity of flavor. You can learn more by visiting his Cafelat store as well as see the entire 3 year design process plus watch some excellent videos of its operation. FWIW, I have the green Robot and love it! (11-09-2018, 08:59 AM)ColdRiverSoap Wrote: My good friend Paul Pratt has released his Cafelat Robot to incredible reviews! A very simple and straightforward lever espresso machine that delivers a beautiful espresso with the classic lever profile. A soft, round cup with clarity of flavor. I'm liking the concept. Can they be shipped to the US and if so what would a blue one and a barista model run me? PM me if pricing cannot be discussed. I've held off in buying an espresso machine because the one I want would cost me around $1,400. Yes, they ship to the US. I got mine when they were doing their Kickstarter campaign for $306 USD shipped. I believe I read on Home Barista that the regular one without the pressure gauge is now $310 USD plus shipping ( but don’t quote me on that). Either way it will be well below $400 shipped. If you haven’t already, check out the Home Barista forums... look under “Levers” and you wii see pages of user reviews, tips, tricks and general praise of the Robot. (11-09-2018, 12:45 PM)ColdRiverSoap Wrote: Yes, they ship to the US. I got mine when they were doing their Kickstarter campaign for $306 USD shipped. I believe I read on Home Barista that the regular one without the pressure gauge is now $310 USD plus shipping ( but don’t quote me on that). Either way it will be well below $400 shipped. Cool. Thanks for the info. So at that price the comparison is with the Gaggia Classic. I'd also be interested in the Barista model so that I could know how many bars of pressure I am at. As I understand it, pressure has a material impact on the quality of an espresso shot. 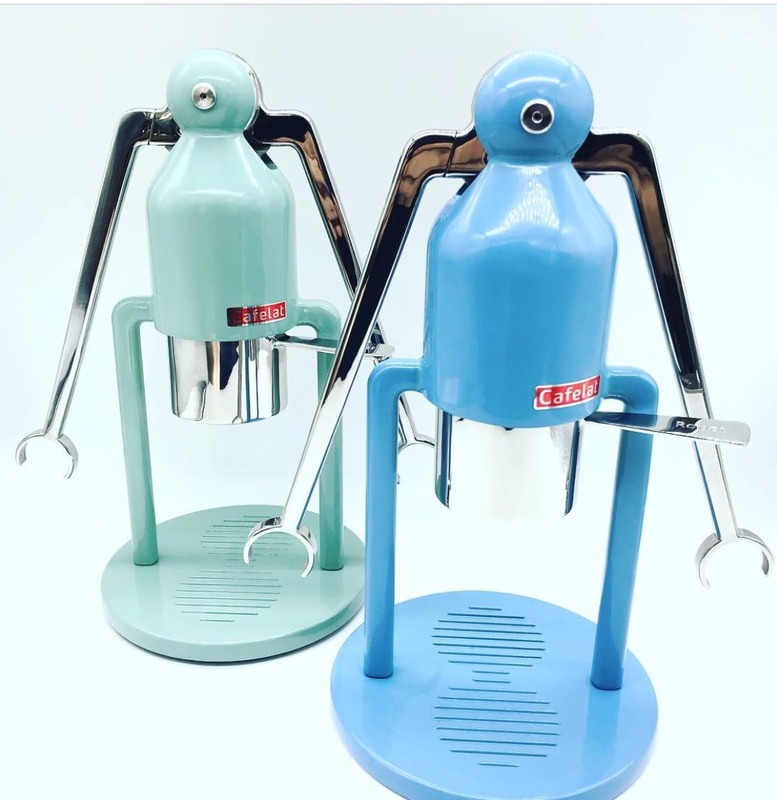 *Edit: I just found them online for sale an have pricing for the Barista model. In polished aluminum that is one nice looking machine. And at that price, I'm thinking it will be hard fro me to resist. So, how is the espresso? Can you offer any comparison between it and other machines? Currently I own a La Spaziale (Dual Boiler), La Scala Butterfly (HX), La Pavoni (‘67 1st Gen Lever), Arrarex Caravel (Lever) and the Robot. The Robot excels at creating the classic lever profile. Smooth, buttery mouth feel espresso with excellent flavor separation. Same crema production as any lever machine, manual or spring but as usual a bit less marginally than a pump machine. In the past I’ve owned a Victoria Arduino 2 Group lever machine which was my favorite of all machines due to the quality and characteristics of the espresso. The Robot matches those shots. You sound as if you done some research already, so you probably already know the grinder is the most important piece of the set-up. I’ve been enjoying pairing the Robot with the Lido E manual conical grinder. Something about making espresso manually without electricity (water heated in kettle on gas stove) has been very satisfying. I’ve also had great results pairing the Robot with any of my electric flat burr grinders and a PID controlled electric water tower. I’ll put it this way, I’ve only turned on the pump espresso machines to make milk drinks requested by guests since I’ve had the Robot. 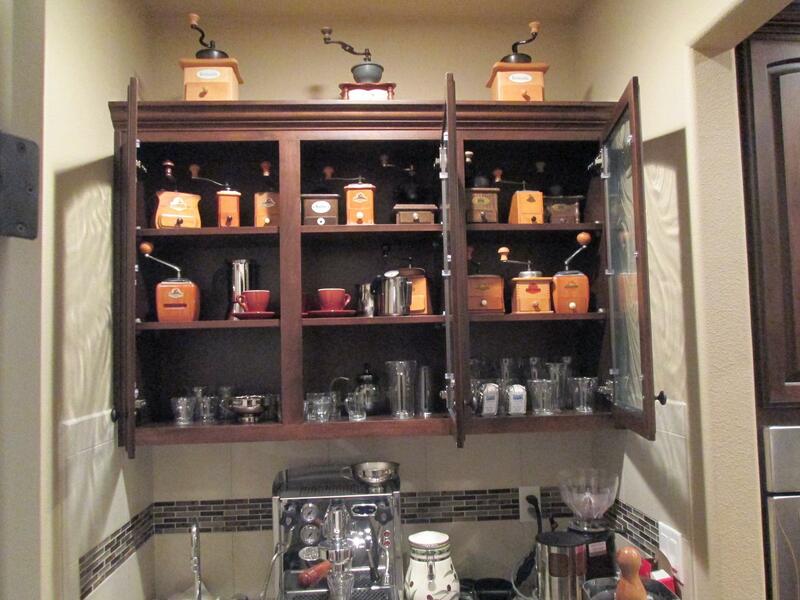 Yeah, I’ve gone overboard with espresso stuff, been at it for twenty plus years. I’ve got a number of good friends in the industry and get most equipment at cost so that takes some of the sting out of it. A Robot plus a Lido E will have you pulling top notch shots for under $700. A hard to beat value.